Although I love it when people spend lots of time on this site reading our articles, I would be remiss if I didn’t call attention to all the other amazing survival sites that I regularly visit. After all, many of the things I’ve learned came from these sites, and many of the article ideas I’ve had were inspired by these sites, so I’m very grateful to all of them. Apartment Prepper – When I first became a prepper, I was living in an apartment. And for a long time, I feared I could never adequately prepare for a major disaster while having so little space. Bernie Carr proves that to be nonsense. Her articles show you how to prepare for almost anything by being clever and making efficient use of space. And if money is an issue for you, check out her weekly series called Money Mondays which is full of tips on how to save money and even earn cash for prepping supplies. Ask a Prepper – This is one of the best up-and-coming survival blogs on the Internet. They have a whole team of writers that cover a huge range of topics from urban survival to homesteading along with step-by-step DIY projects with pictures. And since they update several days a week, they already have a huge collection of great articles. Backdoor Survival – This site was started by survival expert Gaye Levy about six years ago. In that time, she’s written a ton of fantastic articles, especially about food storage. She’s also written many articles about essential oils and making your own health and beauty products from scratch. Although Gaye recently retired, she left the site in great hands and they continue to publish great articles every week. Bio Prepper – James Cole updates this site nearly every day by writing his own articles and publishing syndicated articles (including some from Urban Survival Site). Because of this, he’s built up a huge backlog of articles in a relatively short period of time. Most of the focus is on ancient skills that most people have forgotten: making your own things, raising your own animals, living off the land, and so forth. If you want to learn how to live like the pioneers, this site is worth a look. Graywolf Survival – I have a great deal of respect for Scott Kelley from Graywolf Survival. Whereas many survival gurus learned most of what they know from books, Scott learned by growing up in the woods and serving in the military as a Counterintelligence Special Agent and a US Army Chief Warrant Officer. Having been to many dangerous combat theaters around the world, he knows a lot about situational awareness, bug out bags, survival communication, and more. Although he doesn’t update his site very often, his articles are worth the wait. Homestead Dreamer – If homesteading is your thing, then you have to check out Homestead Dreamer. LeAnne Edmondson is a fantastic writer who is able to explain homesteading concepts in a way that even people who have never heard the term “homestead” can understand. One really cool feature of her site is the Saturday Survival Serial featuring the ongoing story of Jimmy Walker who is attempting to survive a major SHTF event while avoiding dangerous people and U.N. troops. She’s even compiled the series into a book called Aftermath: A Story of Survival which is well worth the read if you like survival fiction. Homestead Survival Site – This, of course, is our sister site. My wife, Heidi, has written a few articles for it, but mostly it’s a collection of articles from homesteaders all around the country. We’re attempting to cover every aspect of homesteading: animals, baking, DIY projects, gardening, food preservation, natural medicine, and so forth. The site is still in the early stages, but it updates four days a week. Mom With a Prep – This blog is run by a mom from Texas named Jane. Whereas most prep blogs have a lot of doom and gloom articles about the imminent collapse of society, this blog is centered around preparing for a personal end of the world such as job loss, major illnesses, or extreme weather when you have a family to take care of. That means the articles a very down to earth and full of practical advice. Definitely worth checking out! More Than Just Surviving – This site is run by husband and wife team, Thomas and Elise Xavier. They’ve written many great articles about emergency preparedness and wilderness survival, but my favorite thing about their site is all the articles about knives. Thomas is a huge knife nerd and regularly posts reviews and lists of the best knives on the market. And since Elise likes photography, they’re very good about posting high-quality pictures of everything they review. Prepper Website – In the same way that Drudge Report compiles the most important news articles of the day, Prepper Website compiles the best prepper articles of the day. Every single day. For many people, Prepper Website is the first site they visit in the morning because they know that if any great prepper articles are published, they can find them there. I can’t recommend this one enough. 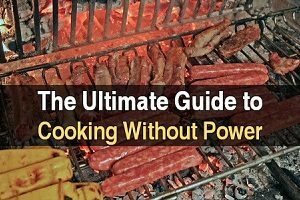 Primal Survivor – The creator of this site, Jacob, started it after going camping with friends and realizing none of them knew any basic skills such as how to build a shelter or even a campfire. 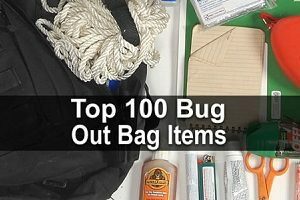 It inspired him to start writing down what he knew about bushcraft, but since then it has evolved into a major site covering bug out bags, off grid living, urban survival, and more. Ready Nutrition – This site was founded by Tess Pennington, a lifelong prepper who worked for the Red Cross Chapter that handled the aftermath of the 9/11 terrorist attack. She is extremely knowledgeable in almost every area of preparedness, evidenced not only by her site, but by her book, The Prepper’s Blueprint. SHTF Preparedness – The amazing thing about this site is how frequently it updates. Every week they curate dozens of survival, homesteading, and DIY articles from around the web. 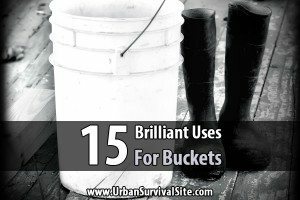 I actually discovered many of the sites in this list because of SHTF Preparedness. Skilled Survival – I only discovered this site recently, and that’s because it’s so new. But even though it’s been around for less than two years, it’s already full of great content due to multiple writers including “Just in Case” Jack, who was raised on a farm and has spent most of his life learning and practice self-sufficiency. While almost every preparedness topic is covered, most of the focus is on gear and supplies. Suburban Steader – This blog is run by Dan, a suburbanite with a wife, two kids, and a dog. Many people buy into the myth that the only way to be a homesteader is with lots of land out in the countryside, but Dan shatters this myth with his excellent articles on how he has managed to become more self-reliant while living in the suburbs. Every suburbanite prepper should check out this blog. Survival Sullivan – This site was started by Dan Sullivan, and relatively new prepper who has assembled a huge team of preppers / writers (one of whom regularly contributes to this site) to cover nearly every aspect of preparedness you can imagine. Seriously, whatever you want to learn about prepping, you can learn about it here. Start with his “Zero to Hero” Guide to Prepping. Survivalist Prepper – There are a lot of great articles on this site, but the main draw is Survivalist Prepper Podcast, hosted by Dale Goodwin. Every week, he, his wife Lisa, and guests have interesting discussions on all sorts of topics. Another great thing about this site is the Preparedness Academy. 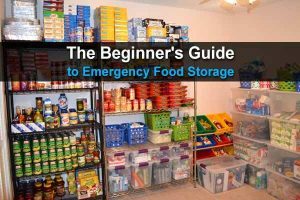 If you’re a new prepper who is overwhelmed by all the information online and aren’t sure where to start, this is a great course worth looking into. There are even giveaways, community support, and wholesale discounts available. Survivopedia – This site has an article on almost every prepping, homesteading, and survival topic you can imagine. Theresa Crouse, one of the main writers, is extremely knowledgeable in these areas. She grew up in West Virginia where she learned to hunt, fish, and live off the land, and today she lives off the grid as much as possible. Survivopedia also has many other experienced homesteader writers, all of whom have a very straightforward, down-to-earth writing style. The Organic Prepper – What I like about this site is it provides equal parts survival information and warnings about potential disasters. For example, as of this writing, the front page features articles about finding prepper friends, stockpiling healthier foods, and tips for lowering expenses. 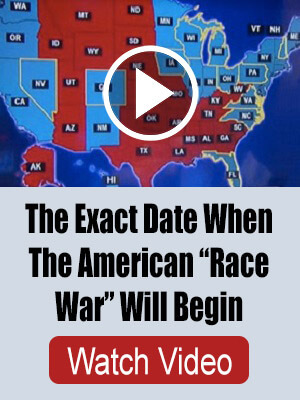 But it also features articles explaining what a second Civil War would look like and where the next alt-right rallies are planned. Definitely worth following this one. The Prepper Journal – This site has published over 1000 articles in just a few years. The main editor is Pat Henry, a great writer with a military background and 10 years of experience prepping. Many of their best articles come from the ongoing Prepper Writing Contest in which anyone can participate. Readers vote on their favorite articles and the winners get Amazon gift cards. The Survival Mom – Lisa Bedford has been running this site for over 8 years now. She’s a prepper, a published author, and (of course) a mom. Since taking care of her family is her top priority, her blog is less focused on doomsday theories and more focused on practical advice for people with children. So in addition to survival tips, there’s also information on homeschool and running a happy household. If you’re a parent, I can’t recommend this site enough. Tin Hat Ranch – This blog is accompanied by an excellent Youtube channel that covers topics such as bug out vehicles, off grid solar power, and nuclear war survival. Although this site has articles on nearly every aspect of preparedness, the focus is on survival gear. If you’re a prepper who likes gadgets, you’ll love this site. True Prepper – I only just discovered this site recently, and I really like it. True Prepper is one of the fastest growing survival blogs online thanks to four knowledgeable writers including an engineer, a scientist, a first aid instructor, and an Air Force veteran who has worked with Red Cross. Their site covers urban survival, wilderness survival, and everything in between.